Save with the latest Emirates coupon for India - Verified Now! Available for travel period up to 31st December 2018, receive your extra discounts today. Fly Dubai, fares starting from Rs.18106 only! Fly Toronto, fares starting from Rs.67793 only! Travel Zurich, fares starting from Rs.47062 only! Offer valid till 28th November. Fly London, fares starting from Rs.44816 only! Travelling Nairobi, book flights now starting from Rs.40007! Emirates code: Fly London, fares starting from Rs.46551 only! Emirates coupon: Book your returns to Paris, fares starting from Rs.40886 only! Emirates code: Travel Toronto, fares starting from Rs.66283 only! 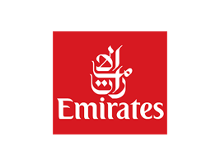 Emirates coupon: Travel Zurich, fares starting from Rs.46017 only! Fly Nairobi, fares starting from Rs.38478 only! Emirates discount coupons make it possible for you to visit your dream destinations at cheaper rates. Emirates coupon and promo codes help you save cash with deals on discounted airfare, points, and more. On good months, you can save up to 50%. On usual days, you can steal up to 25%. Check on our coupons for the best discounts that fit your needs.